As you can possibly imagine; today’s post is a bit on the lighter side of martial arts life. The eBay explanation to the cover of an old German music magazine told me: “Carl Douglas – Everything about Kung Fu!” Naturally, I had to have it. By the way - At the end of the post, I will describe a totally deadly Kung Fu technique! So, Carl was quite the one-hit wonder in 1974 with “Kung Fu fighting.” In the German charts #1, ahead of Sweet (#3 and #17), David Cassidy, Suzi Quatro, George McCrae, Slade and others. John Lennon made it in December of 1974 from #19 only to spot #7, Neil Diamond #20. The British charts featured David Essex on top. Number one in America was Billy Swan. Sorry I can’t help it, it’s so cheesy; for the Germans here the #2 after Carl Douglas, Michael Holm. So much for a tidbit of music history. Back to Kung Fu fighting. There it is, finally on page 44 of the magazine: “Everything about Kung Fu” I knew it, finally I will know it all. But first a lot of “Kung Fu”, hard work, training my iron grip by having to go through the previous 43 pages in search for the ultimate Kung Fu secrets. Carl makes it difficult. Many probably gave up somewhere between the pages 20 to 30. Not me! 1. Avoid an attack instead of hurting the opponent. 2. Hurt the opponent instead of injuring him. 3. Injure the attacker instead of killing him. So, Carl was the original traitor. Now we finally know. Wasn’t there somebody else? Bruce ... something? Oh well, can’t remember. Whoever this Bruce guy was, he might have had nothing to do with real Kung Fu, unlike Carl. 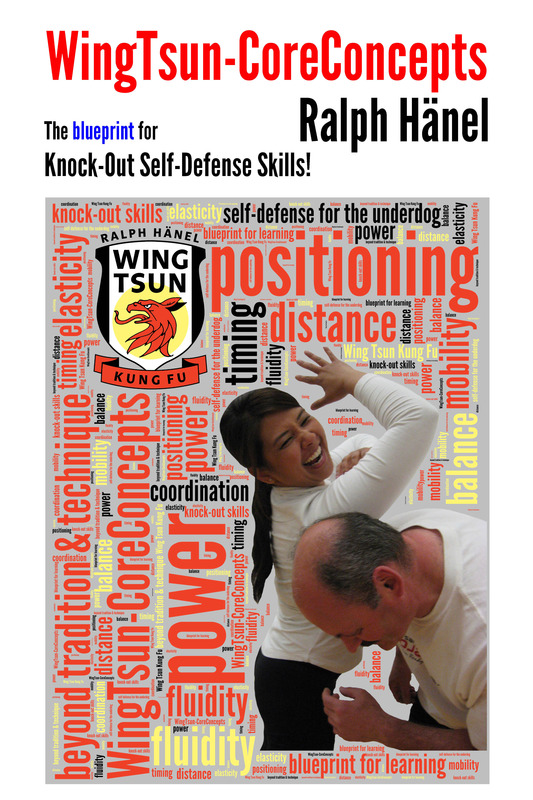 Tonight we will train in class the secret Kung Fu, as shown on page 45 of the magazine. The attacker kicks, you quickly duck to the ground, completely naturally jump up under the kick in progress, and simply throw the attacker to the ground. Then you are absolutely safe while standing between the legs of the former kicker, now able to hit him where the sun doesn’t shine. My thoughts for this post came from very different experiences in the virtual and the real world. Within a short period of time, I came across completely different ends of the spectrum, the positive and negative, the yin and yang of human expression. Recently I ended up giving way to some gossip, meaning I read comments on YouTube. In my personal opinion, YouTube clips have portrayed great people looking not so good, and seriously flawed performances looking pretty good due, for example, to the video frame rate. However, the comments typically steal the show. I have always said that there is unfortunately more politics in martial arts than in politics. But, there is also increasingly more blind fanaticism in all martial arts, just as in other areas of life. With the anonymity of the Internet, it has become so easy for “keyboard warriors” to express their often strange opinions. One gets the distinct impression that professional jealousy, pure hatred and complete inability to respect other people’s work would be an endless source of income for psychiatrists. Real or assumed martial arts skills and boundless ego is not a lethal but rather dumb combination, a fountain of personality disorders. It all leads me to another observation. Many people don’t seem to get, that the studying of martial arts is the careful building of skills and knowledge, not the collection of data, techniques, or number of more or less instructional videos watched. Many seem to mix up quality and quantity of information. There is more knowledge than ever accessible, yet it doesn’t necessarily lead to more creativity, dynamic learning and innovation. Information is more ‘scanned’ than acquired. Clicking replaces thinking. So, when now does this post lead into a positive direction? Let’s go from the virtual world into the real world. Any instructor and student is capable of forming and influencing their environment, making encouraging contributions that motivate everyone. Recently I noticed how many students have returned to classes, after having been away for only several weeks or even after a break of a number of years due to work and family commitments. That’s what it is all about. Studying and training in a supportive class setting. Not giving up on your dreams. Showing persistence and patience. 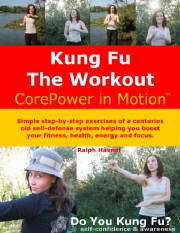 It doesn’t matter if you start something new, or if you get back to follow your Kung Fu journey. Dream and do something about it! “Sometimes even dedicated students must (reluctantly) take a break from Wing Tsun group classes. Life throws ‘curve balls’ at us when we least expect it. A new addition to the family, the loss of a loved one or close friend, or maybe a serious illness in the family. I have experienced my share. How about demanding new job, or a job layoff? That’s often the predicament, isn’t it? We either have time but no money, or we have money but no time. Reading the first two postings also reveals how a instructor is being motivated! Now, the video. 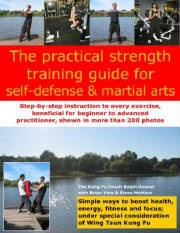 First, I saw the following videoclip posted by Alex Richter, a talented Wing Tsun instructor from New York. I showed it to a few people and all of them said: “Gosh damn it, this makes you (almost) cry!” And yes, it is a bank commercial. So, how about that video, are you a “dream ranger”? Click here to read the second part of this series of two posts. Read what Todd and Adrian, Jan, George and Rob have to say about starting your martial arts training and about returning to classes after a break.